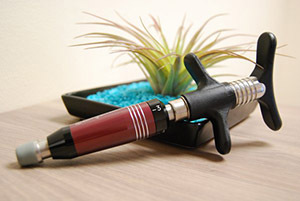 The Activator is a handheld chiropractic spring loaded instrument that delivers a gentle thrust to the spine, releasing vertebra from misalignment and subsequent nerve impingement. It is considered a gentle low force chiropractic technique that is very comfortable to the patient. The activator is used along with specific protocols of leg checks and isolation tests that are designed to detect spinal joint dysfunction. 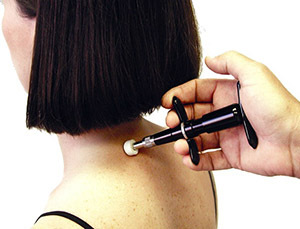 The Activator technique is not only used to detect spinal joint issues, but it’s also very effective in identifying and treating other joint problems, such as shoulder, hip and knee. For anyone suffering from neck, low back, hip or knee pain, the Activator provides an alternative to pain relieving medications. Depending on the issue, multiple treatment sessions may be required initially to help the body regain normal structural health.